Exclusive swing-away handle makes strainer cover removal easy – no tools, no loose parts... no clamps. It matched the one I was replacing. pump motor going out, easier to replace entire unit than motor. Very little diff in price from motor and entire unit. Replaces the pump we 've used for the last dozen years so we didn't have to replumb everything. Existing pump was burnt out. same exact model that i am replacing. I needed a new pump to replace my old Hayward pump. Advice from Aqua Pool Services, who maintain & service my pool. Considered the best product on the market. I needed a new pump and price seemed reasonable. Replacement part of current system. Have one already -getting old time for change out. Bought to replace original one that has lasted 14+ years. I'd rather buy exact replacement than take a chance on others. Best price I could find. Free shipping also. Had this pump on my previous pool. Great pump replacing my 20 year old pump that was still working! 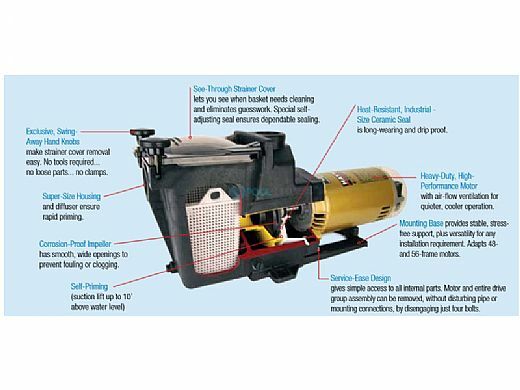 For a pool of 20,000 gallons, what size pump do I need? 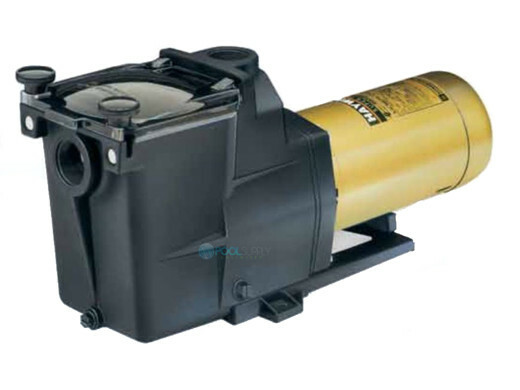 BEST ANSWER: This pump ideally suited for 20K gal. in-ground. 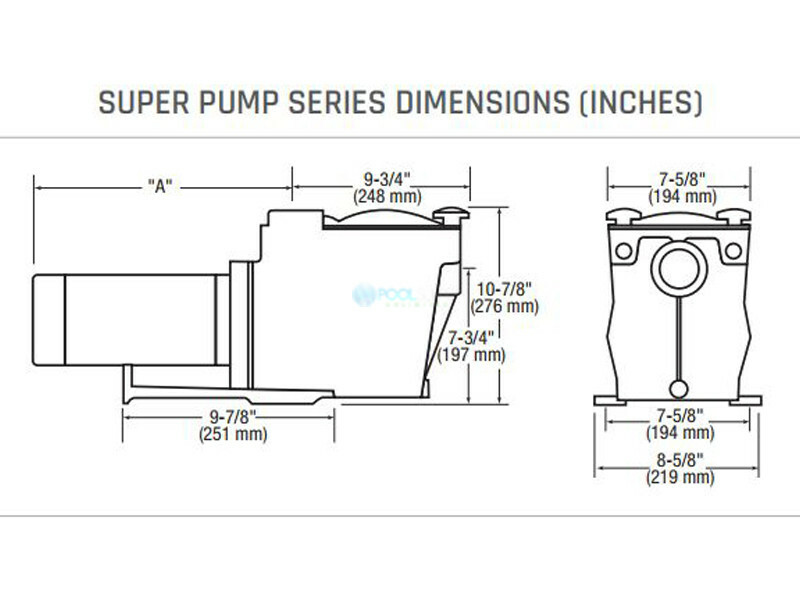 BEST ANSWER: This pump is a single speed. Do you sell the 2 inch version? Is this a new pump or reconditioned? BEST ANSWER: My pump was new. 2ND one in 20 years. Totally happy. Highly recommend it. 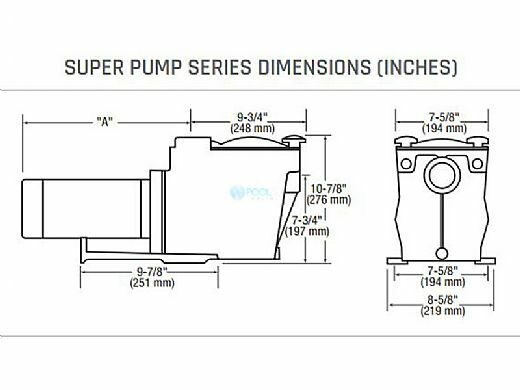 It is a new pump. does it come with wiring needed? BEST ANSWER: You have to connect the pumps internal wiring to your external power source. If you have a 220 line you connect the wiring within the pump to that section. 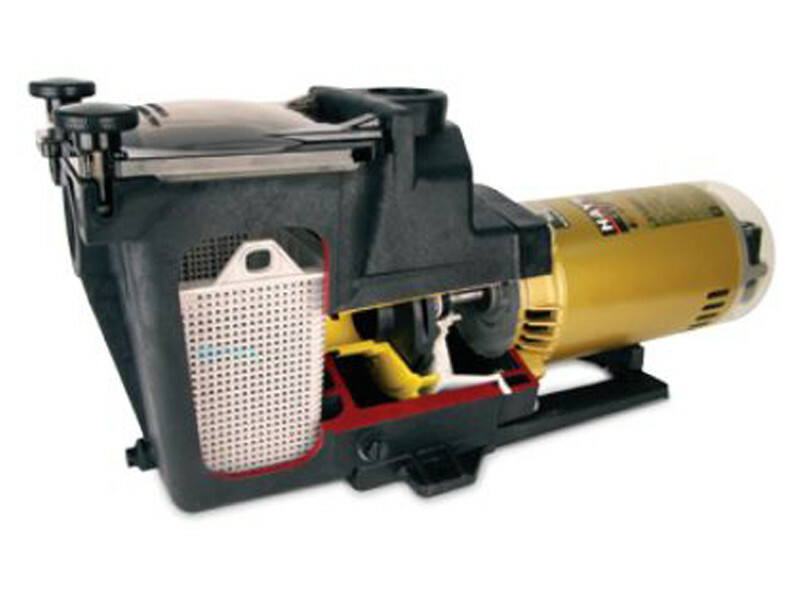 If your wiring source is 115 volt, then you connect it accordingly to the wiring in the pump. Either way, you have to provide the power source and the pump has the internal wire connections. 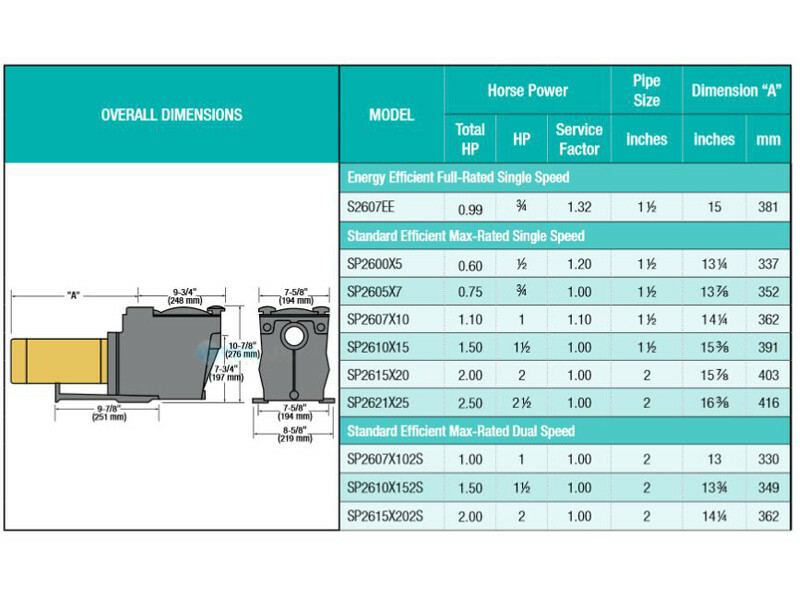 It does come with the wiring but you need to connect to your existing connections. This order was a replacement pump. Hope this helps in answering your question. No wires are included. This motor/pump assembly is ready to be wired to your existing pool timer. No, you have to run your own wiring to the pump. Does this fit a 2 inch pipe? 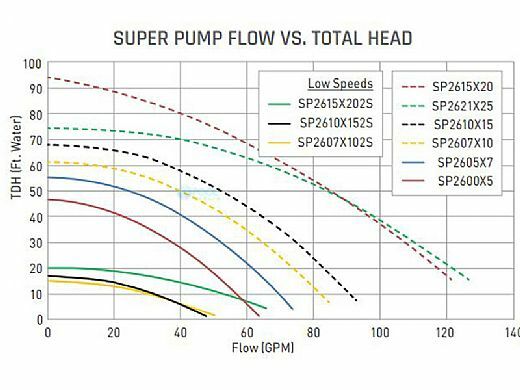 BEST ANSWER: No, the Hayward Super Pump only has 1-1/2" internal threads. You can add a 1-1/2" to 2" bushing so that you can adapt to 2" but that would be a separate item. Is this pump ready to install.In other words do I need to do anything other than wiring and purblind? BEST ANSWER: Yes, the pump is easy to install. Wire in the plug, connect the inlet and outlet water pipes and you are good to go. Been using Hayward pumps for years. Just love them. Thats it. Other than plumbing and wiring it is ready to roll. is this a suitable or better replace1ment for Hayward SP1607-Z1-M? 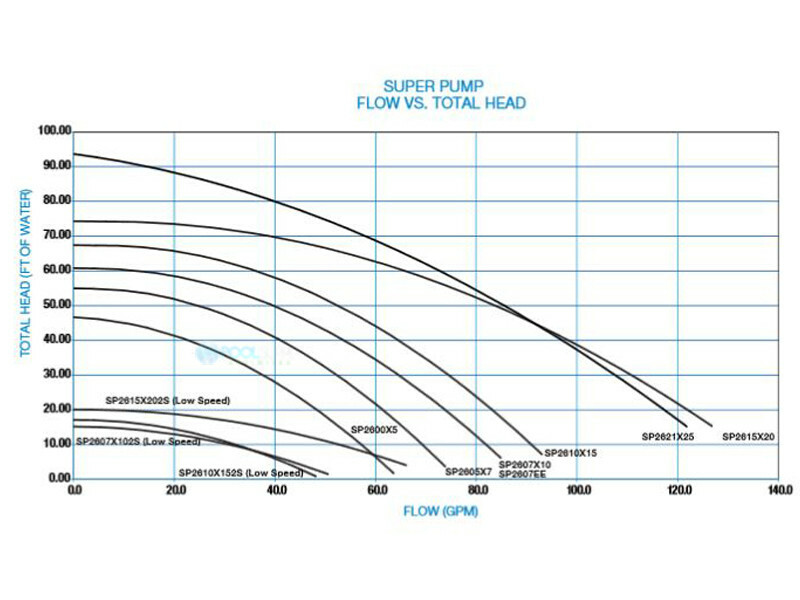 BEST ANSWER: We’ve had our pump for several years with no issues. I can’t answer about using it as a replacement for another model. We have an 8 foot 33’ x 12’ inground pool and it does the job. 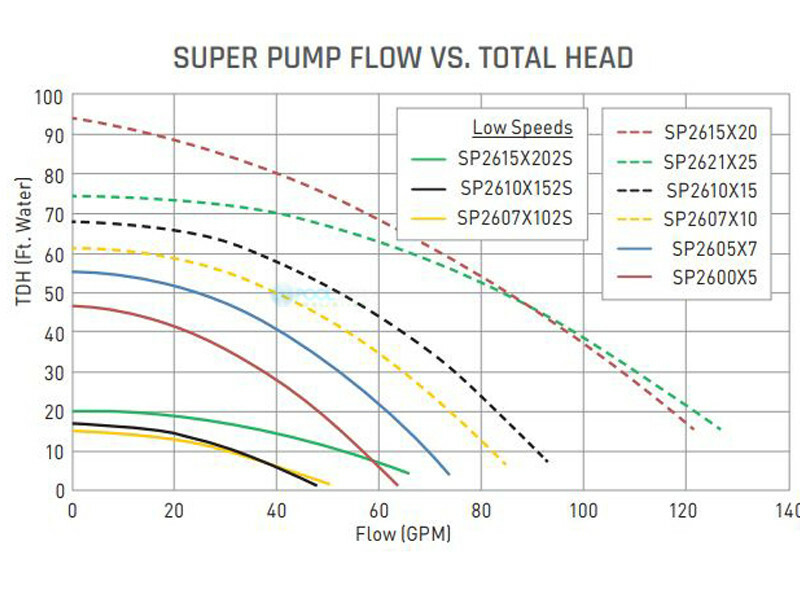 will this pump replace the 280/7x10 ? Bought this to replace 14 year old Hayward 1 hp. pool pump. Arrived within a week. Installation was simple and runs smooth as silk! Price is better here than local dealers and other pool supply sites! This pump is fantastic. It runs 18 hours a day. No problems. Very happy with it, runs quietly, price was fair and look forward to doing business with you again. Would highly recommend.